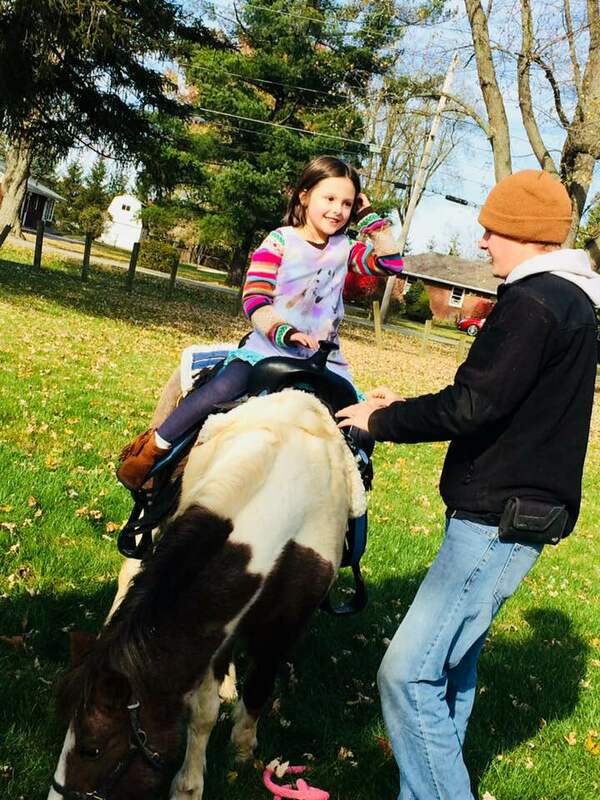 We offer petting farms, pony rides, inflatables, nativity scenes, and more. Don't let the cold weather get you down, we offer nativity scenes and petting farms that can stay on our heated trailer! Our animals include a mini horse, mini donkey, calves, goats, sheep, alpacas, pigs, bunnies, and chickens! (animal availability may change based on season). 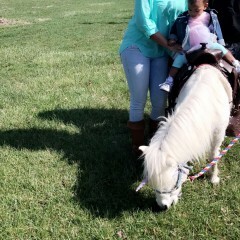 We also offer pony rides! Our biggest pony can accommodate children up to 140 pounds. 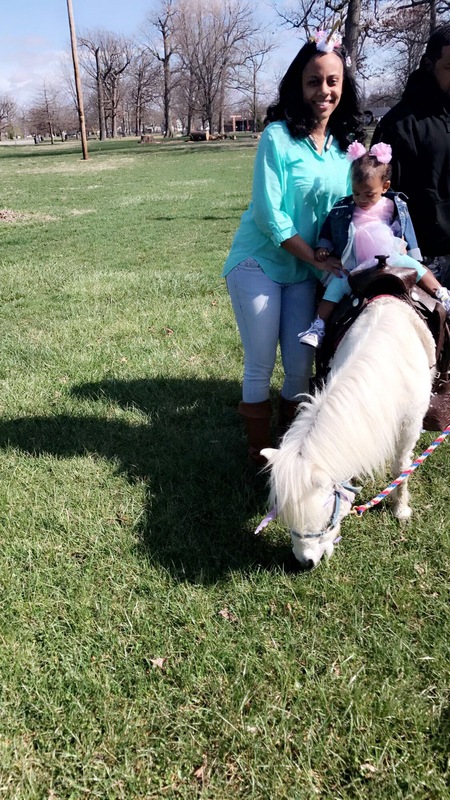 Our pony rides are hand led, and we allow our ponies to eat grass or hay while the kids are mounting and dismounting the saddle. We have 2 inflatables available for rental, a 13' x 13' farm themed bounce house and an 18' tall inflatable slide. Thank you so much to Scheumann Farm! They came for my daughter's Third birthday party and were an absolute joy to work with. They arrived about 30 min early in order to give themselves time to get the ponies off the trailer and acclimated. I had about 7 toddlers of varying ages at the party and they were wonderful with each child. I could overhear them as they lead the ponies around, talking to the kids and telling them things about the ponies. The ponies, Sugar and Peaches, were adorable, well-trained, and happy. All the kids and I felt super comfortable with them. As we approached the end of our scheduled hour, all of the kids suddenly wanted to get a final ride in. They were so patient and kind, didn't rush the process at all. At the end, they even gave my daughter a very nice stuffed horse toy! I will absolutely be hiring them again for events in the future. Thank you so much for the kind words, and I am so happy everyone loved the ponies! 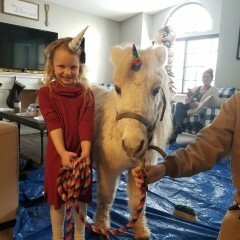 They brought their mini white unicorn to my 6 year old's birthday party & she loved it! Very easy to work with! Timely, organized, cleaned up and even gave my daughter a gift! Highly recommended!! Thank you so much for the kind words! It was a pleasure working with you guys and making her birthday special. We had a joint birthday party for our son and daughter this past weekend, This was the perfect party! The animals were awesome, it was such a nice set up and everyone loved feeding and petting them as much as they wanted! Staff was friendly with adults and children and awesome to work with! I would recommend them to anyone in the area looking for this type of entertainment and will certainly use them again! Thank you!! Scheumann Farm was on time and were very professional. 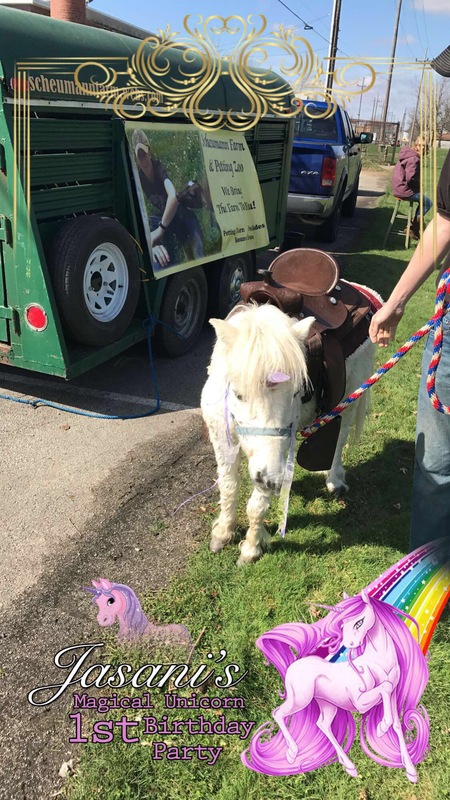 The horse, Sugar, was very friendly, sweet, and happy to provide rides! Awsome poney and very great guy thanks a lot!! Thank you so much for having us, and I'm so glad your photo shoot went so well! I hope all your pictures turn out great! Our members loved the petting zoo. All the animals were in great moods and well cared for. Thank you so much, we will have you back year after year. Our event was a great success and the service was just outstanding. We could not have been more pleased. 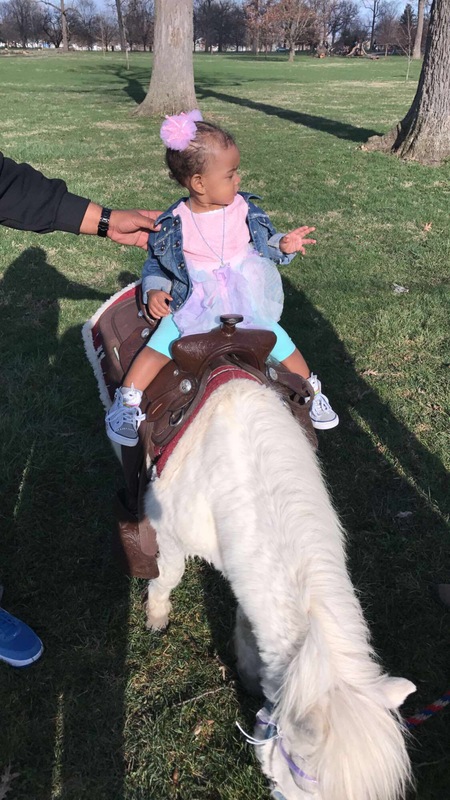 The kids loved the horses, and the petting zoo was just unbelievable. Thanks. We really enjoyed Sam, everything was perfect! We would recommend this business to others! 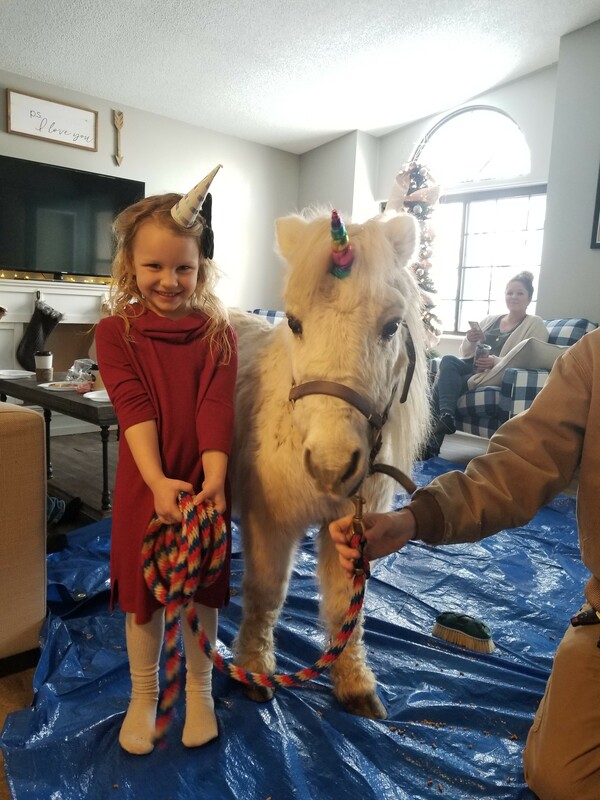 We are so happy you guys enjoyed the party and that the Unicorn Horn worked out! 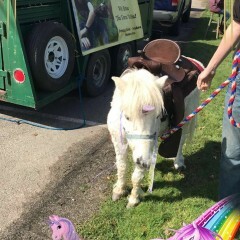 Great people they came out and were very nice loved the services the pony and moonwalk they were great to the pony also! I love Connor and the zoo!!! What a fantastic event!! The animals are so cute and well behaved. I love it!! 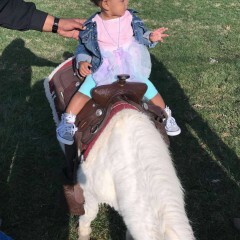 Scheumann Farm & Petting Zoo was great. If we continue with this venue or another similar I would use them again. Very pleasant & nice. The set up and tear down was quick an easy. Very pleased with them. Thanks Scheumann Farm & Petting Zoo! We have many options for your event! Our new livestock trailer that we use for the on trailer setup has pens on the inside of the trailer with an aisle way that leads from the front of the trailer to the rear for guests to walk through. The trailer also has an awning that comes off the passenger side of the trailer where we can setup an additional livestock pen, the small animal pen, and offer the feed and hand sanitizer or everything can be left on the trailer. For the grass setup we setup all the pens outside the trailer and if conditions require we setup canopies over the pens and use fans for the animals. Please let us know when signing if due to the location of your event this setup will be required. 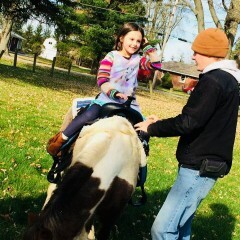 Our pony rides typically include 1 pony that we bring for hand led pony rides. Being hand led is much nicer to the pony and it allows us to be much more flexible on space requirements! For small parties we can do large scenic laps or for events with more riders we can do smaller laps, to ensure everyone gets a chance to ride. We also have packages where you can book multiple services for a discounted rate. My name is Connor Scheumann and I have operated Scheumann Farm & Petting Zoo for 7 years now! I can accommodate almost any event or location. I have done events in Indiana, Ohio, Michigan, Kentucky, Illinois, and even once in West Virginia. I started the business doing fairs and festivals but have expanded to: Birthdays, anniversaries, colleges, elementary schools, libraries, carnivals, corporate functions, fundraisers, churches, block parties, conferences and the list goes on and on. I am constantly trying to improve my business and make things better for both my clients and my animals. Recently one of my major investments was a new livestock trailer that allows guests to enter the trailer to interact with the animals. The animals have there own pens, and the trailer has lights, an AC unit and heaters to make sure that our more temperature sensitive animals stay comfortable during your event. I would love to answer any questions you may have about our animals or any of the services that we currently offer. Just give me a call on my cell phone (260)494-8691 or send me a message. Every event is different and we try to be as flexible as possible. Just let us know your circumstance and we can let you know how we can overcome it!